Despite popular conjecture, snout-to-tail eating is not something that current locavores, slow foodies, or the new generation of farmers have recently discovered. 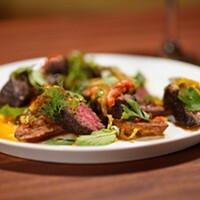 Using all parts of the animal is something that has been done worldwide for centuries, and indeed the revival of this form of cooking marks a return to a more primitive and holistic relationship with meat. On April 6, Slow Food Hudson Valley will host the fifth annual Snout to Tail workshop. Participants will have the opportunity to talk with and watch demonstrations by butcher and chef Tom Schneller, charcuterie master Chef John Kowalski, fine dining Chef Daniel Turgeon, and lamb farmer Erin Bradt, following the trajectory of an animal from pasture to table. Tickets include up to four small lamb plates and a one-pound goodie bag of sausage or another item. April 6, 10am. $110. Filled with the larger-than-life magical realism of a Tim Burton film or Gabriel García Márquez novel, performances by Arm-of-the-Sea theater troupe have been amazing audiences for 20 years. Their large-scale hybrid performances of visual arts and music create an atmosphere of strangeness and wonder. They will stage their latest production, "City That Drinks the Mountain Sky: Part Two," at Phoenicia Elementary School. Featuring colorful costumes and hand-painted set designs, this eco-play follows the journey of water from mountains to your tap. 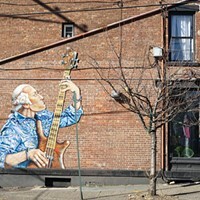 Exploring the Catskill watershed and New York City's water supply system, this production touches on important scientific and cultural concerns, like climate change and aging infrastructure, and proves to be engaging for audiences of all ages. April 6. Free. 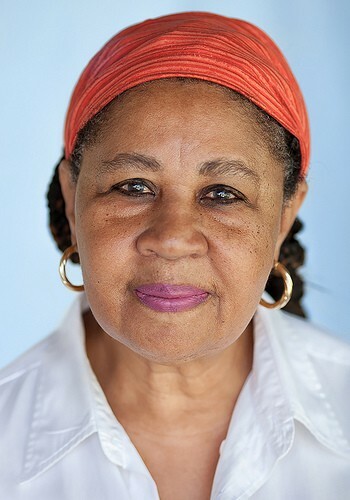 For Vassar College's annual Alex Krieger Memorial Lecture, writer Jamaica Kincaid will deliver a talk "Landscapes and Memories" on her masterful approach to interweaving prose and poetry. Currently the Professor of African and African American Studies in Residence at Harvard University, Kincaid is the author of many novels, including Annie John, Lucy, At the Bottom of the River and A Small Place, that are deeply admired in the American literary landscape for their loosely autobiographical takes on postcolonialism, gender, and racism. Kincaid has been awarded the Lannan Literary Award for Fiction, Prix Femina Étranger, Anisfield-Wolf Book Award, and the Clifton Fadiman Medal. More recently, she was the recipient of the American Book Award in 2014. April 11, 8pm in the Villard Room at Vassar College. Bread and Puppet continues to explore the limits of their medium with the latest eye-catching production of papier mache and cardboard puppets. "Diagonal Man," which will be performed at Time & Space Limited in Hudson, challenges the pervasive verticality of our culture by incorporating radically diagonal movements. "The diagonal threatens collapse while always containing the possibility of uprising," says B&P founder Peter Schumann. Combining mind-bending movements, music, and humor, "Diagonal Man" brings to life the light-hearted possibilities of diagonal existence. For $35, dine with the cast before the production in a benefit supper in support of Bread and Puppet Theater. April 26, 7:30pm. $10-$15. Acclaimed comedians Brendan Fitzgibbons, Tyler Fischer, Leah Bonnema, Lance Weiss, and Justin Williams will take over Colony in Woodstock for one rip-roaring night of laughs. Featuring veterans of MTV, Comedy Central, The Onion, and "The Late Show with Stephen Colbert," it's no surprise The Gandhi Show has been called "one of New York City's best comedy shows" by Time Out and Thrillist. April 25, 8pm. $20-$25. For the past 21 years, TAP NY has brought together the best of New York State's brewers to offer visitors a rare panoramic tasting opportunity. 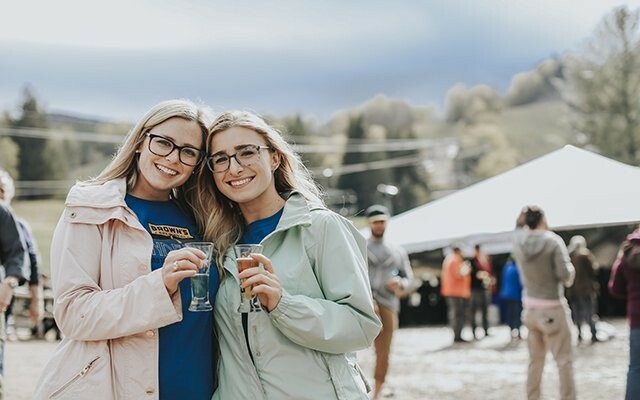 From experimental pale ales to style-pure lagers, barrel-aged stouts, and wild-fermented sours, this festival offers something for every palate. Held at Hunter Mountain, the bacchanal celebration also offers a wide range of tasty food options from area restaurants and food trucks. Brewers will contend for the title of "Best Beer" and "Best Brewery" in New York State. Gold, silver, and bronze medals are given to drinks based on style while cup winners are awarded for being the best in the region. April 27-28. $67-$133. 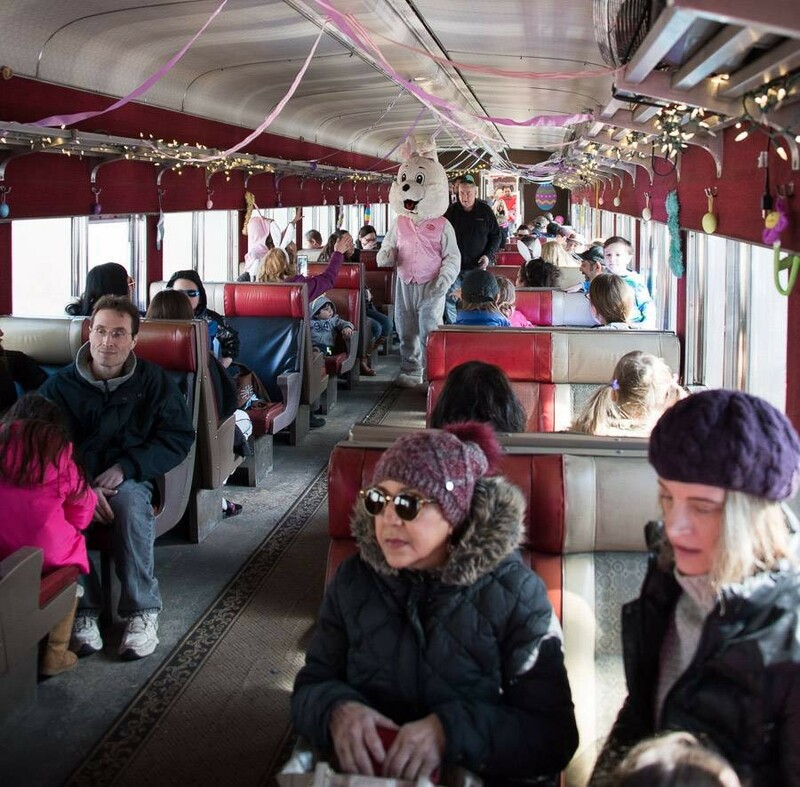 Catskill Mountain Railroad's kid-centric themed train rides are a delightful way to enjoy each season's festivities. In the fall, Rails of Terror offers a deliciously spooky haunted train ride, while December's Polar Express brings to life a timeless tale of Christmas magic. In April, the Easter Bunny Express gives children the chance to board a vintage train and travel in style up to Hurley Mountain, where they will disembark for an epic Easter egg hunt and visit from the Easter Bunny and his mischievous friend Fernando the Fox. April 6, 13, 20, five departures per day. $12-18, free for toddlers under 2. While a solitary trek in nature offers peace seldom achieved in our busy lives, hiking in a group offers the camaraderie and motivation that is sometimes needed to get out the door. 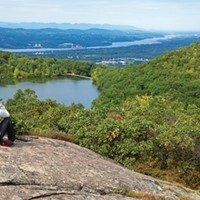 The Mid-Hudson Adirondack Mountain Club was founded with the threefold mission of exploring the outdoors, protecting nature, and connecting people. Diving headlong into spring, their April outings schedule offers weekly Thursday hikes of varying difficulties throughout the region. Throughout the month, the outdoor club also organizes weekend hikes and, as the weather warms up, paddling excursions. The Marc Black Band Spring Celebration.